Planet Hell: Now Playing - "Ladies Like Armor-Plating"
Dragon Age: Origins (Xbox 360) - I haven't played too much of this since last time, but I got a bit further through the main story quests. I am at the Fade section in the Circle of Magi quest, a bit annoyed they took my team away, but the enemies don't seem too hard unless they gang up on me. I'm gonna put some more time into this and FFIX before Mass Effect 2 comes out in a couple days. I'll probably pick it up at launch but not necessarily start it straight away. 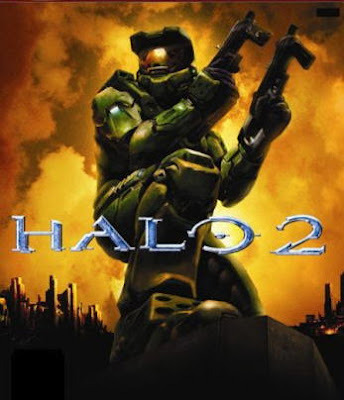 Halo 2 (Xbox) - I started this up yesterday, trying to beat it in a single session, got a headache, and finished it off today. Its a pretty good game, but didn't quite have the same amount of epic set pieces as the next in the series. I'd probably like this more if I played a bit of the multiplayer, but I played enough of it back when it came out. Everyone has no doubt moved on to Halo 3 now anyway. Quite good stuff though. 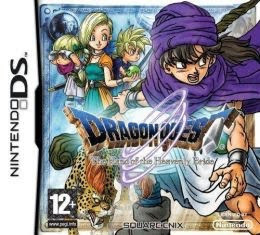 Dragon Quest: Hand of the Heavenly Bride (DS) - I wanted a game I could play on a portable system when I was either out or downstairs away from the consoles in my room, so it was between this and Devil Survivor on the DS. I am really looking forward to playing Devil Survivor as well, but this DQ isn't too long and it got a lot of awards in the RPGamer Best of 2009 as well, which intrigued me. Its got a lot of good reviews, apparantely. Its a remake of a 1992 game, and as it is Dragon Quest, some of the text and dialogue is kinda...odd and funny. Like this bit early on in the game. Skeleton: "Do you want your neck sliced off by the scythe of hell!? No? Then I suggest you start preparing this meal!" I'm only an hour or so into this, but I'm liking it so far. As old school as always, and nice graphics. I like how you can rotate the camera with the shoulder buttons. I remember in DQIV DS I didn't know that until quite far in, and in certain places it really helps. Anyway, I'll talk about this more next week if I play more of it. I need to crack on with FFIX though.